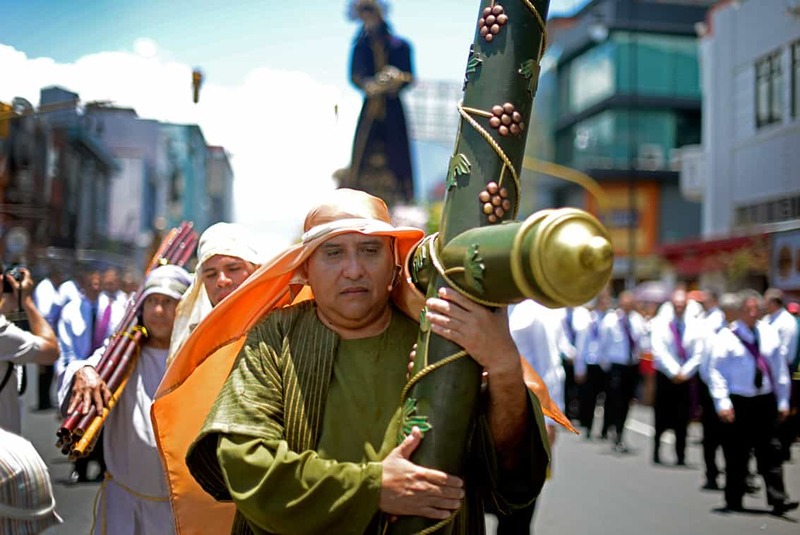 While North Americans are fond of Easter bunnies and chocolate eggs, Latin America favors Roman centurions, crosses carried through the streets and the Messiah’s dramatic funeral procession. In Catholic countries around the world, the procesiones recreate the crucifixion of Jesus Christ on Good Friday – followed by Easter Sunday’s resurrection. Most Costa Ricans have fled for the coasts or the mountains, but pious Ticos will find themselves in plazas and squares across the country. Spend Friday morning participating in this extraordinary cultural event, followed by the funeral march at dusk. Although most shops and restaurants will be closed until Monday morning, you can also expect beachfront parties and surprise celebrations throughout Costa Rica. 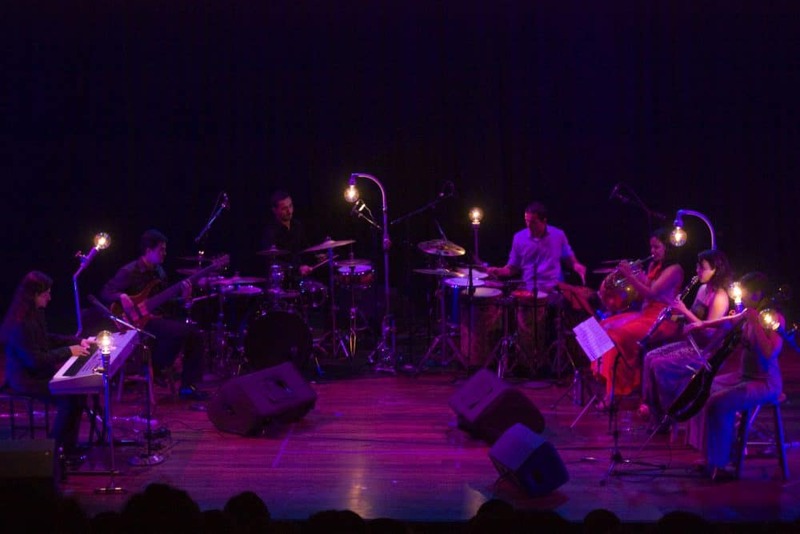 Created right here in Costa Rica, this innovative jazz fusion band plays The National Theater. Concert takes place April 7 at The National Theater, downtown San José. 12 p.m. ₡1,000-2,000 ($2-4). Info: National Theater website. What if you plotted a murder, you told an entire town about your intentions, but no one bothered to warn the victim? Gabriel García Márquez’s novel receives a stage adaptation at Teatro Espressivo. “Crónica de una Muerte Anunciada” opens April 9 at Teatro Espressivo, Tres Rios. Fri. & Sat., 8 p.m.; Sun., 6 p.m. ₡7,500-10,000 ($15-20). Info: Teatro Espressivo website. Sixto Rodriguez didn’t have many fans in the United States, but he inspired an entire generation of South Africans. Did Rodriguez die before he learned of his own fame? This acclaimed documentary examines this surprise cultural phenomenon. Film screens April 4 at Galaría Escazú. 7 p.m. Free. Info: Facebook event page. This dark Swedish comedy takes place at a ski resort, where a married couple struggles to decide whether they have a future. “Fuerza Mayor” screens at various times through April 8 at Cine Magaly, Barrio California. Info: Facebook event page. If you were always as intrigued by Metropolis and Central City as you were by Superman and The Flash, this new exhibit by Carlos Llobet Montealegre is sure to fascinate. “Superhéroes y Sus Ficciones Urbanas” displays through May 16 at TEOR/éTica Gallery, Barrio Amón. Mon.-Fri., 9 a.m. – 5 p.m.; Sat., 10 a.m. – 4 p.m. Free. Info: TEOR/éTica website. Three short, darkish comedies by Argentinean dramatist Julio Chávez are performed at the Vargas Calvo black box theater, courtesy of the National Theater. The talented actresses Tatiana y María Chaves won a national award last year for the performance. “La Bruta Espera” continues through April 26 at the Vargas Calvo Theater, downtown San José. Thu.-Sat., 8 p.m.; Sun., 5 p.m. ₡2,500-5,500. Info: National Theater website. Experimental paintings by Rolando Faba make their debut at the José Luis López Escarré Gallery. “Microcosmos” continues through May 8 at The National Theater, downtown San José. Free. Info: National Theater website. Classical German printer Albrecht Dürer receives a stunning retrospective at the Central Bank Museums. “Alberto Durero: Genio del Renacimiento” is on display through April 26 at the Central Bank Museums, downtown San José. Daily, 9 a.m. – 5 p.m. ₡5,500 ($11). Info: Museum website.